Bags and suitcases for kids that they'll want to carry. Bonus. A growing family means more things to take on holiday, but the growing range of dedicated luggage for kids at least helps take some of the strain. And while you'll still be cramming your suitcase with extra clothes, toiletries and the obligatory inflatable for the pool, children's suitcases can make the experience a little easier. Naturally, you’re not going to be getting your toddler to shoulder all the weight of a week’s worth of summer clobber. But pick up one of these bags and you’ll be sure to convince them that carting their things around isn’t arduous and - whisper it - fun. From ride on suitcases to snazzy rucksacks, read on and we’ll share our pick of the best kids' luggage available to buy right now. 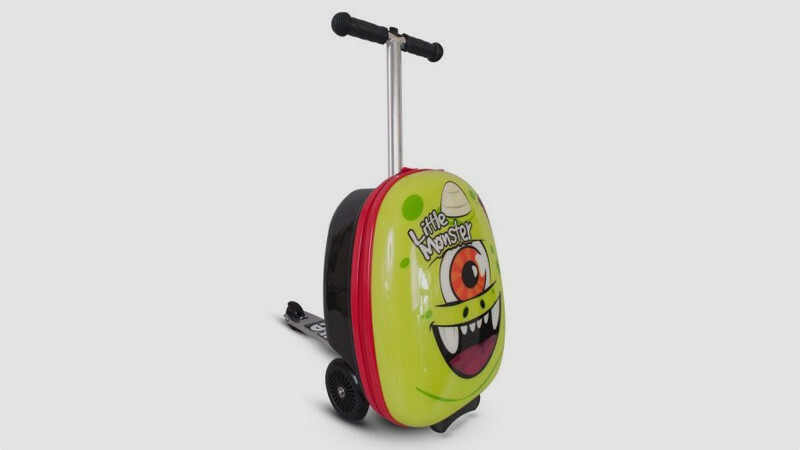 Inescapable on the long walkways from departure lounge to gate, Trunki’s ride–on suitcases have long been the number one choice for parents looking for kids luggage that’s both fun and affordable. The original model remains the best. 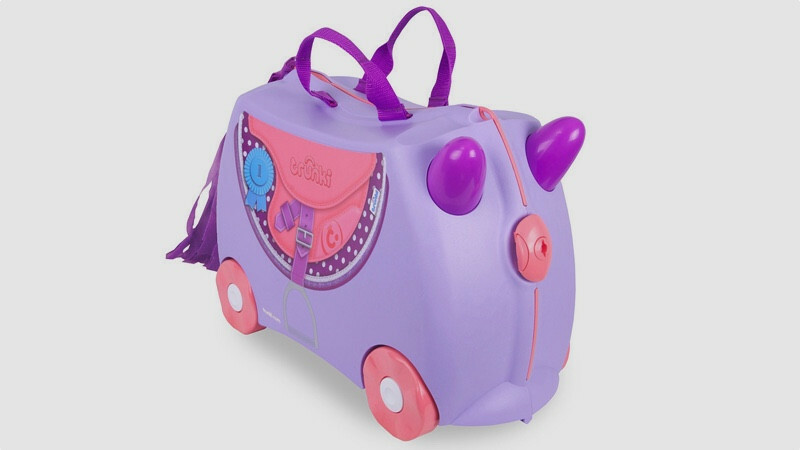 Available as everything from a fire engine to a pony, it comes with 18 litres of space, plenty for small toys, clothes, tablets and headphones. It can fit easily into overhead lockers, meaning there’s no need to check it in, either. The case can be pulled along by your child, or dragged along by you with them riding atop, if you’re in a hurry to make your flight. There’s also a shoulder strap for adults - perfect for when playing with the Trunki becomes less than amusing and the rush is really on. Prices vary depending on design, but the Trunki is a nailed-on winner for younger children. Adding children’s preferred method of getting from A to B to a suitcase is nothing short of genius. And while there are similar models out there, the Zinc Flyte is unquestionably the best. Starting at £70 (depending on design), it’s not cheap. But with a massive 25-litre bag attached, there’s space for all your kids’ holiday stuff, with the bonus of a speedy way of getting them around an airport attached. The scooter can be folded away, with the bag easily fitting into an overhead compartment. The bag’s shell is softened, meaning it won’t crack if your kids take a tumble either. This larger model is designed for four to eight year olds, with a smaller model for two to four year olds costing £59.99. It comes in a wide range of fun designs. Available in a series of cute designs that will impress even the most picky of toddlers and young children, Skip Hop Zoo’s rolling luggage is almost as ubiquitous as the Trunki. 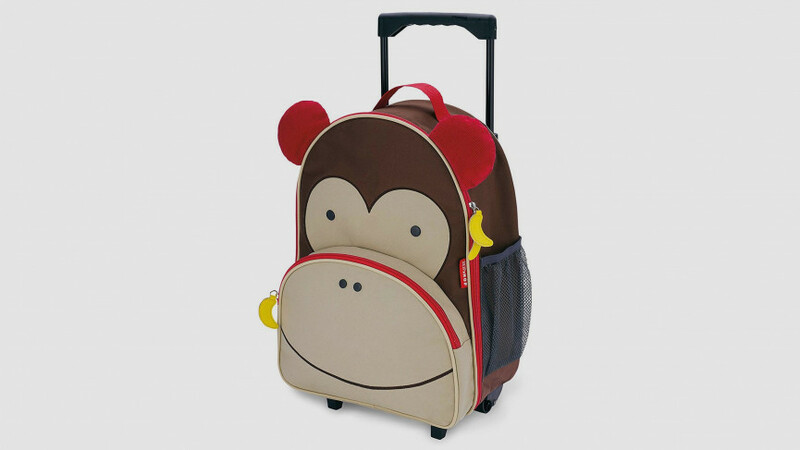 There’s a front pocket for stashing smaller toys and snacks and a mesh side pocket for a water bottle, while the wheels and pull along handle mean that independent–minded kids can pull their own luggage while passing through airport security and duty free. Of course, the detachable shoulder strap also means that parents can pick it up and carry it around when young arms get weary. This is a smaller bag than the Zinc, but is perfect for smaller kids. As well as this cheeky monkey design, there are also butterfly, unicorn, giraffe, fox, ladybird and owl versions available. 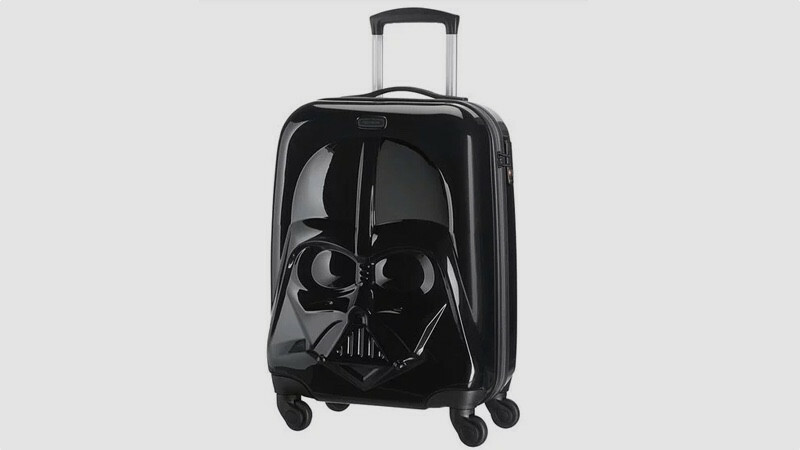 One for older kids (and let’s face it, adults who can’t get enough of all things Star Wars), this Samsonite hard case is guaranteed to turn heads, not to mention win brownie points for parents of sulky kids who don’t want to go on holiday. Replete with Darth Vader design, it has four wheels for easy rolling and 36 litres of space, ample for a week away. It features a TSA approved lock for added security and is cabin guaranteed for airlines including BA, Finnair, EasyJet and Iberia. The downside is the price tag, although being a Samsonite case it comes with a two-year warranty and will doubtless last much longer. The only fear is that your teenager’s Star Wars obsession wanes, leaving you with an expensive and cumbersome piece of memorabilia. Like the Skip Hop Zoo, this is a roll along bag, albeit one with backpack straps for kids to go with the shoulder strap for adults. What really makes it stand out are the lights on its wheels, which flicker into life when the bag is being rolled along. If that doesn’t get your kids excited, then they’ll be pleased to know there’s a laptop compartment where you can stash your tablet loaded with games and TV shows to keep them entertained on the plane. Available in a variety of colours and designs to suit kids of all tastes, this is a good bet for anyone who wants multiple carrying options. 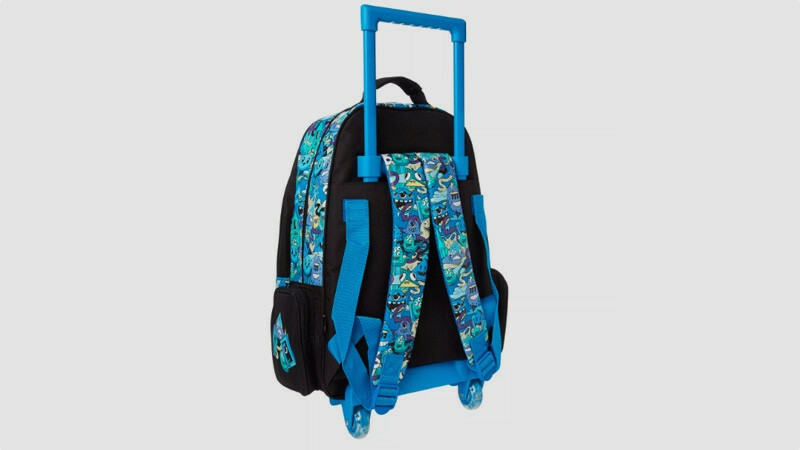 The rucksack in particular is good for pre–teens, while its 46cm height means it’s not too big for adults to lug around alongside their own luggage.